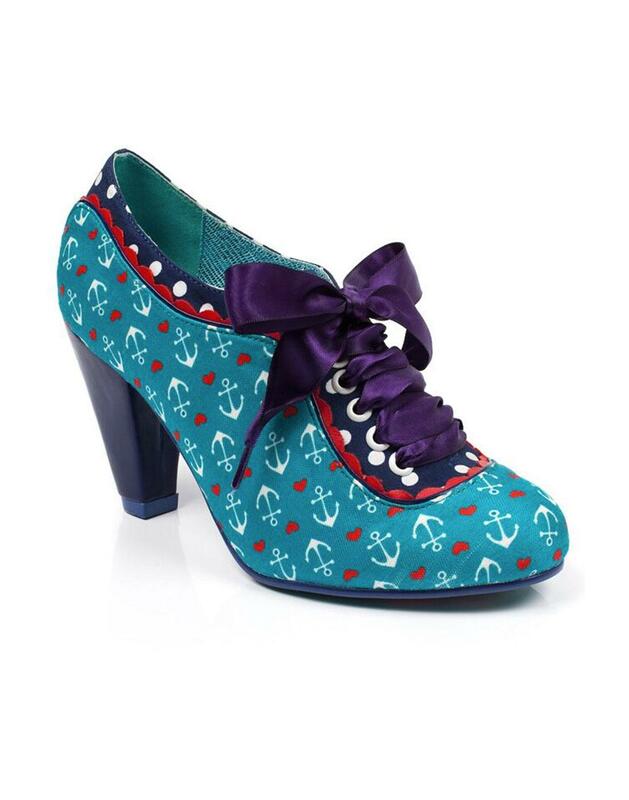 Poetic Licence by Irregular Choice 'Backlash' Retro 1950s nautical anchor themed heels in teal. Become the belle of the beach with these super cute 'Backlash' heels from Poetic Licence. Featuring a stunning anchor and love heart printed fabric upper pitched with Retro polka dot contrast, Vintage scalloped trim and a flash of white piping to add the finishing touch. Oh and don't forget the gorgeous ribbon laces and fab blue heels! 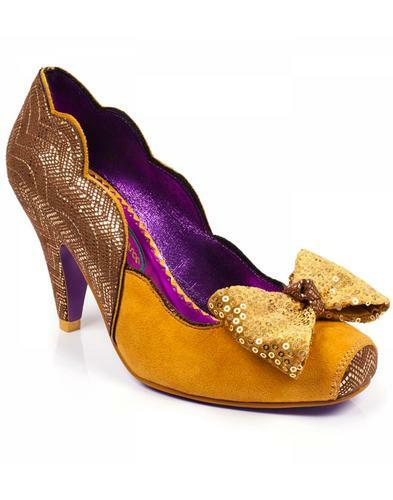 It will be Anchors Aweigh this summertime with these wonderful 'Backlash' Retro 50s heels from Poetic Licence by Irregular Choice. Perfect for walks on the promenade! Team with Vintage dresses and perhaps a pretty parasol for shade! - Poetic Licence by Irregular Choice 'Backlash' retro 50s nautical anchor heels in Teal. 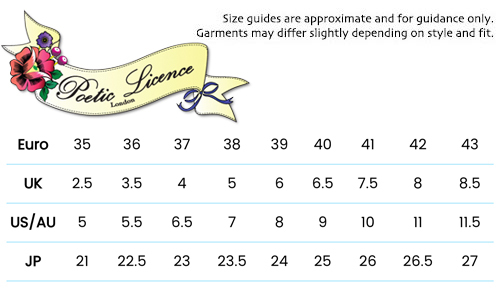 - Vintage anchor and love heart fabric print upper. - Cute retro piping detail. - SKU: 3872-1BD Backlash Anchor Heels Teal.